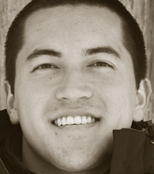 Mitchell Hashimoto is a passionate engineer, professional speaker, and entrepreneur. Mitchell has been creating and contributing to open source software for almost a decade. Mitchell speaks at dozens of conferences about his work, such as VelocityConf, OSCON, FOSDEM, and more. Mitchell is the founder of HashiCorp, a company whose goal is to make the best DevOps tools in the world, including Vagrant. Prior to HashiCorp, Mitchell spent five years as a web developer and another four as an operations engineer. "Overall, I felt this book provided a good broad overview of Vagrant, and would be sufficient for a developer who wants to create simple sandboxed environments for testing code. It's also an ideal starting point from which you can jump off into the more comprehensive online reference documentation."